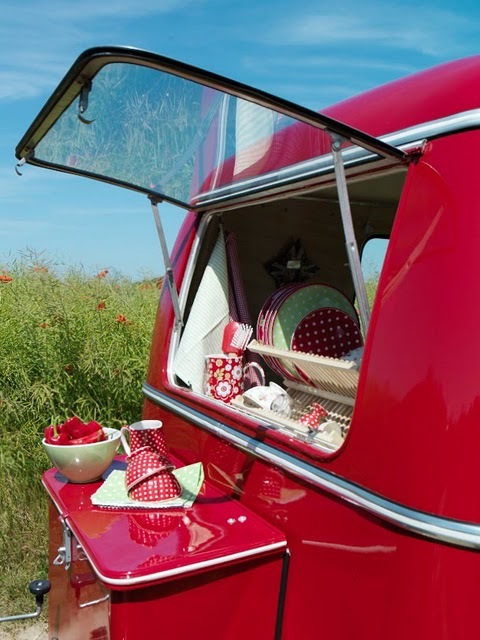 Cute Red camper and vintage mobile. 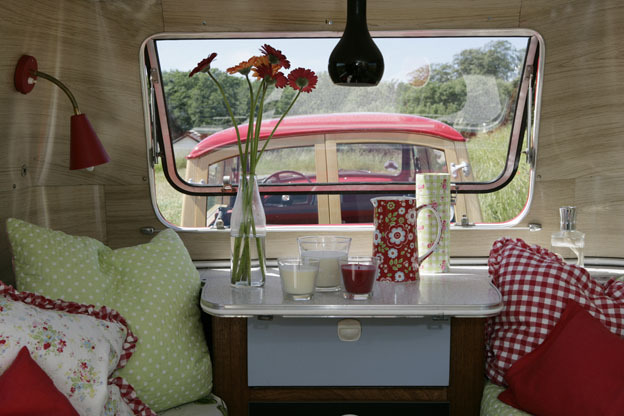 Loving this Red combo I spotted at an awesome blog called The Painted Cottage….simply sweet!! Hey Thanks! We all get ideas from one another, I 'stole' the images from Erin McDonald of Dandelion and Gray, she has a wonderful blog! 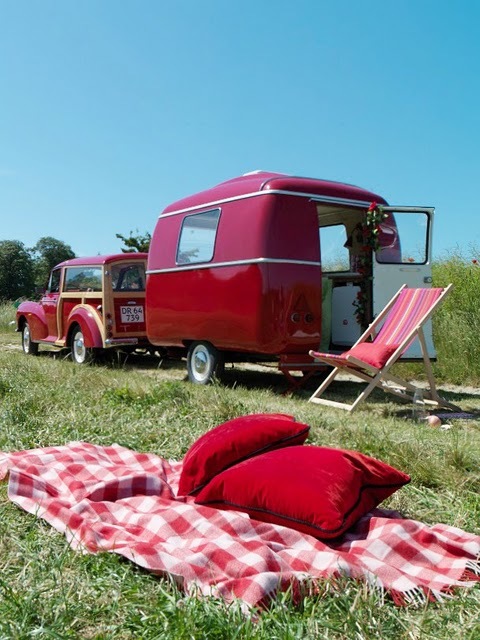 I love the vintage trailers you show….reminds me of my childhood, my grandparents had one! Thanks for stopping by and your kind words, also the photos from Erin…. Thank you for the link…and thanks to Renae, too, for the inspiration. It is just a big circle o blogs–ha! I want that red camper!!! I do believe we saw this going east on I-90 between Butte and Whitehall, MT the end of June or early July. How awesome! I'm in love! The polkadot dishes and the red and soft green are amazing touches!